A common cause of headaches is from excess stress in the spinal cord. You might not notice your reduced ability to turn your head. But these subluxations affect nerves, muscles and even the blood supply to your head. While we can’t guarantee results, we have a high success rate with clients who get headaches. Give us a call. Let’s sit down and discuss your unique situation. Some clients enjoy results quickly. Others notice a slow decline in their symptoms after several weeks or our chiropractic care. It’s impossible to predict. 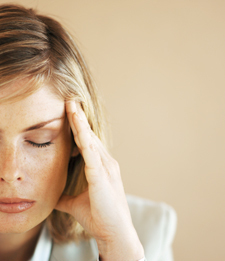 If you’ve had chronic headaches for many years, improvement can take time. We monitor your progress and modify our recommendations as needed.